Happy Tuesday, friends! I am up on the Spellbinders blog today sharing a card project using a beautiful Gramma’s Bridge die. This is something that’s not entirely me, but one has to experiment and step out of the comfort zone sometimes, right? I love the way this card turned out, the Bridge die is absolutely unique and may be used in a few ways, it can also be assembled in a few ways changing the look and thus giving more options. 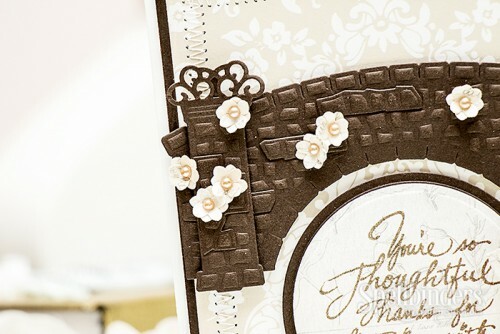 I decided I wanted to do a blooming bridge on this card so I also used the tiny flowers from the Hydrangea Create A Flower set and adhered several here and there to make it look like the bridge is covered with Spring blooms. 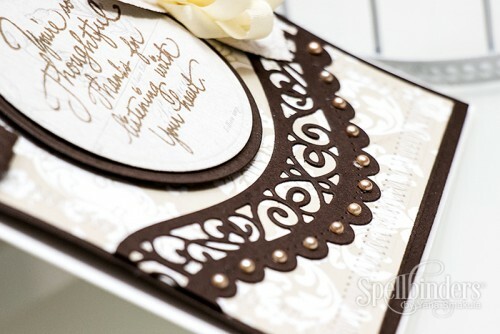 I also used a very beautiful sentiment from Stampendous – You’re so thoughtful, thanks for listening with your heart. I’m sharing a step by step photo tutorial on Spellbinders blog, be sure to stop by and check it out. Very nice. I’ll go over there to see the details. Holy cow Yana, this is beautiful! 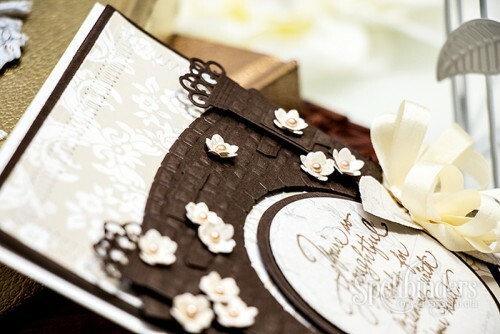 Great that you stepped out of your comfort zone… you did such a great job on this card, one wouldn’t know that this is a little bit different style for you! Yana, this is beautiful!!!! Very creative with those dies. I love it!! !